Ross B. Intelisano is a partner of Rich, Intelisano & Katz, LLP, an internationally recognized law firm with offices in New York that focuses on complex, highly sophisticated litigation and arbitration, and related advisory and transactional services. Mr. Intelisano represents individual and institutional investors in securities arbitration and litigation against financial firms. He also represents OTC derivatives and commodities investors, as well as employees in industry disputes and self-regulatory organization investigations. Mr. Intelisano has extensive experience in large and complex financial fraud cases on behalf of investors worldwide. He and his partner John G. Rich have won two of the 15 largest customer arbitration awards ever rendered against Wall Street firms. His clients have included ultra high net worth and high net worth individuals, family offices, hedge funds, funds of funds, endowments, non-profits and other institutions in claims against brokerage firms, investment and private banks, investment advisors, hedge funds and other financial companies. In 2010, Mr. Intelisano, Mr. Rich and their firm won the Bayou v. Goldman Sachs Execution & Clearing case: a $20.6 million FINRA arbitration award against Goldman Sachs related to the Bayou hedge fund fraud. The 18-day hearing generated a 100% recovery of the compensatory damages requested. It is the largest arbitration award ever rendered against Goldman, the third largest hedge fund-related customer arbitration award, and amongst the largest customer arbitration awards of any kind against a Wall Street firm. The award is also the first win in any court or arbitration forum by investors against a clearing or prime broker related to a hedge fund Ponzi scheme based upon fraudulent transfer theories. The award was confirmed by Judge Rakoff of the SDNY and upheld on appeal by the Second Circuit in 2012. New York Super Lawyers, a publication of The New York Times Magazine, named Mr. Intelisano as one of New York’s top Securities Litigation attorneys every year since 2010. He and Mr. Rich are two of only three attorneys on the New York Super Lawyers Securities Litigation list who primarily represent institutional and individual investors as claimants in securities arbitration. Mr. Intelisano is a leading authority on securities and financial fraud and is a frequent television and print commentator. He has appeared on the television news programs the Today Show, Dateline NBC, Anderson Cooper 360, PBS’s Frontline, Closing Bell and various other CNBC shows, CNN, NBC, CBS, ABC, and Fox Business News programs regarding financial fraud. He has been quoted extensively by the New York Times, Wall Street Journal, Financial Times, USA Today, Business Week, Vanity Fair, Bloomberg, Dow Jones and other financial publications. In December 2009, Mr. Intelisano, Mr. Rich and their firm won a $3.4 million arbitration award against Bear Stearns related to the High Grade Structured Credit Strategies hedge funds which blew up in July 2007. It is the first and only reported victory by any High Grade investor and the award was rendered after the criminal acquittals of portfolio managers Ralph Cioffi and Matthew Tannin. The Firm resolved a $15 million dispute on behalf of a fuel and heating oil company against an international broker dealer related to the purchase of OTC derivatives, including swaps and options, pursuant to an ISDA agreement. The case was litigated in court in New York as well as in two FINRA arbitrations. Mr. Intelisano and Mr. Rich pioneered the practice of representing groups of individuals and institutions in customer arbitrations related to hedge fund fraud. In 2011, Mr. Intelisano represented 13 investors from around the world who had lost over $40 million in a group arbitration related to the Bear Stearns High Grade Funds. He successfully represented numerous investors in group claims against investment advisors and banks for failing to do proper due diligence in their recommendation of Bernard Madoff-related feeder funds. He also represented numerous investors in substantial arbitrations against Citigroup related to the ASTA/MAT and Falcon hedge funds which settled. Starting in 2005, Mr. Intelisano’s firm represented investors who lost over $25 million in the $350 million Bayou hedge fund Ponzi scheme run by convicted fraudster Sam Israel. In 2007, the Firm settled a multi-million dollar group arbitration at the American Arbitration Association (AAA) related to Bayou versus a registered investment advisor for failing to do proper due diligence. In 2005, Mr. Intelisano obtained favorable settlements on behalf of clients who invested with Kevin Kelley, a Connecticut hedge fund owner and Ponzi scheme artist. Mr. Intelisano and his partner Mr. Rich were co-trial counsel in the Engel, et al. v. Refco commodities Ponzi scheme case at the National Futures Association (NFA). The 100-day group arbitration on behalf of 13 individuals and family run businesses generated a $43 million award in 2001, which at the time was the largest collected arbitration award ever rendered on behalf of public customers against a brokerage firm. In 2006, Mr. Intelisano published, Hedge Fund Fraud - The Future of Securities Arbitration? in Bloomberg Law Reports - Securities Arbitration. Said article predicted one year prior to the Bear Stearns High Grade Funds implosion that broker-dealers would roll out proprietary hedge funds that were bound to blow up in the future which would cause customer arbitrations against broker-dealers. He has written various articles for the Practicing Law Institute’s Securities Arbitration course handbooks, the seminal securities arbitration continuing legal education program. Mr. Intelisano is a frequent lecturer on securities and financial fraud at the Association of the Bar of the City of New York, the New York State Bar Association and other bar associations. He is also an arbitrator at FINRA and NFA. Mr. Intelisano, Mr. Rich and Daniel E. Katz formed Rich, Intelisano & Katz, LLP in 2011. Mr. Intelisano and Mr. Rich were partners in Rich & Intelisano, LLP from 2003 through 2011. From 2001 to 2003, Mr. Intelisano was of counsel to Bauman, Katz & Grill, LLP, where he headed the firm’s securities and employment arbitration and litigation practice. 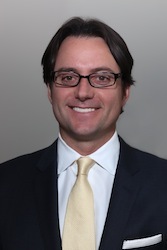 Along with his present partner, Mr. Katz, Mr. Intelisano handled NASD and NYSE securities arbitrations on behalf of investors and broker-dealers, and represented employees in employment disputes, SRO investigations and registration disputes. Prior to that, Mr. Intelisano was an associate at Eppenstein and Eppenstein where, along with his present partner Mr. Rich, he represented high net worth individuals in large and complex securities and commodities arbitrations. He began practicing securities and employment law with Mr. Katz at Pressman & Associates. Mr. Intelisano received a B.A. in International Business from Lehigh University in 1991 and his JD from Brooklyn Law School in 1994. He was admitted to the New York State Bar in 1995, the U.S. District Court, Southern District of New York and Eastern District of New York in 1998, and the Second Circuit Court of Appeals in 2011. He is a member of the Public Investors Arbitration Bar Association. Mr. Intelisano lives in Brooklyn with his wife Stacey Reiss, a documentary film producer and director, and their two sons.